It is getting rave reviews from our patients! Welcome to the Blog of Gary D Levine, DDS! 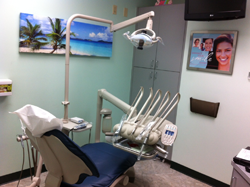 Whether you are an existing patient or searching for a dentist in the Boca Raton area, we're excited you are here. With the dental industry advancing, we recognize the importance of keeping our patients and visitors up to date with all of the new and exciting things taking place in our practice. As we move forward with our blog, we hope to promote dental awareness as a vital part of your healthy lifestyle. Here you will find a variety of articles and topics including dental news, advancements in dental technology and treatment, practical dental health advice and updates from Dr. Levine and his staff.